Designed for the commercial job—or the residential job that requires extra attention due to problem areas—with largersized gutter, hangers, elbows, and more. Create an extension from the downspout either straight back to the wall as you look at the downspout (A-style) or to the left or right of the downspout (B-style). Wilco elbows are longer than many other elbows to prevent downspouts from becoming clogged with debris and are made of thicker .027 gauge aluminum to prevent metal from cracking. They’re also crimped on the sides (rather than corners) making it possible to conceal cross-overs under the soffit and avoid unsightly dimples. Elbows come in White and Royal Brown but may be special-ordered in other colors. A vertical pipe that carries water from the gutter to the ground. 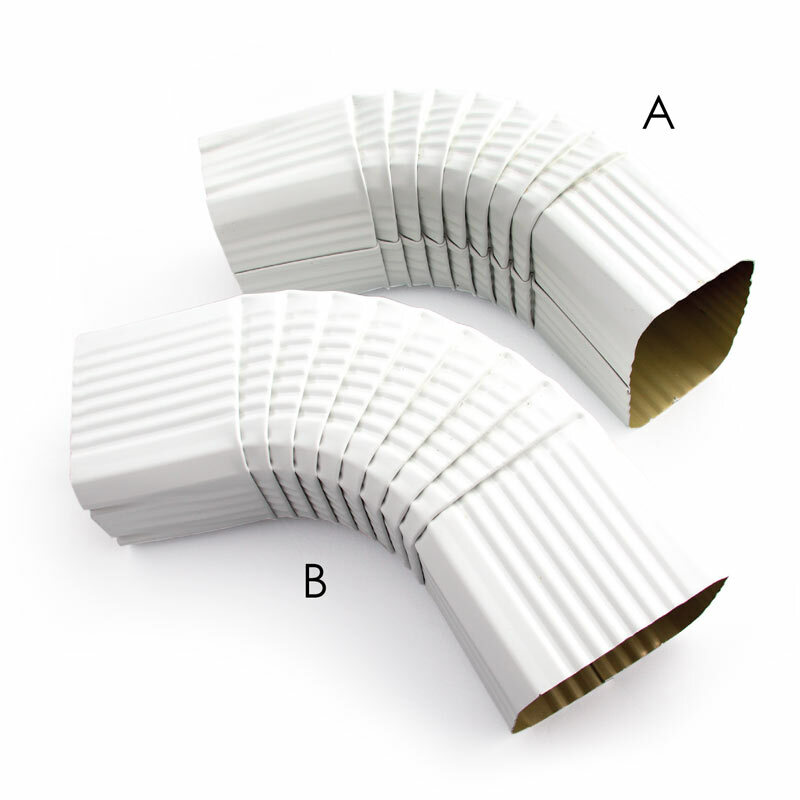 Our .027 gauge aluminum downspouts are available in low-gloss white and royal brown 10-foot sections. 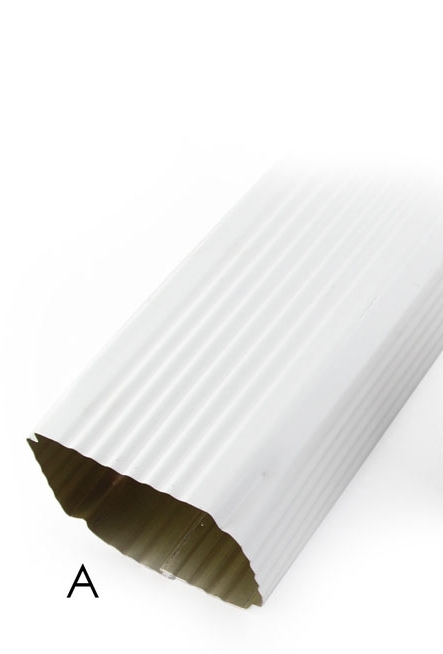 These true rectangular downspouts with corner crimping are inspected for tight seams, straightness, and absence of dents and marks.